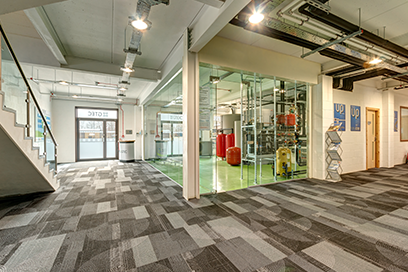 GTEC has developed an integrated Energy Room (Plant Room) that has 6 separate sources of energy. 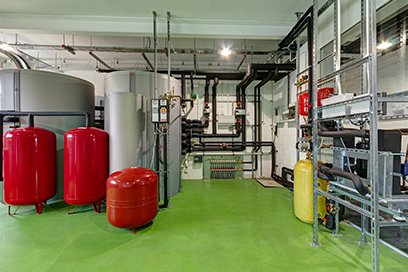 All technologies are integrated to maximise the delivery of the energy needs of the building for heat and power. The centre boasts over 100 Solar Photovoltaic modules which will allow any surplus electricity to be supplied back to the national grid system, with all electricity it has created. 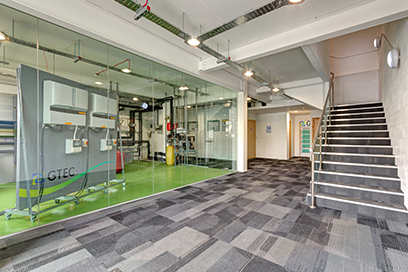 The technologies installed incorporate ‘state of the art’ equipment and control systems so that the centre’s running costs for the next 25 years are negligible.